Beginning in early June 2018, the Cabbage School will offer its first full season of programming at the Commons, our property in Little Sandy Mush, NC. Situated amongst vibrant ecological diversity of Madison County, NC, about 30 minutes from downtown Asheville, the Cabbage School convenes for the creation of a resilient and dynamic community and a functional model for learning. 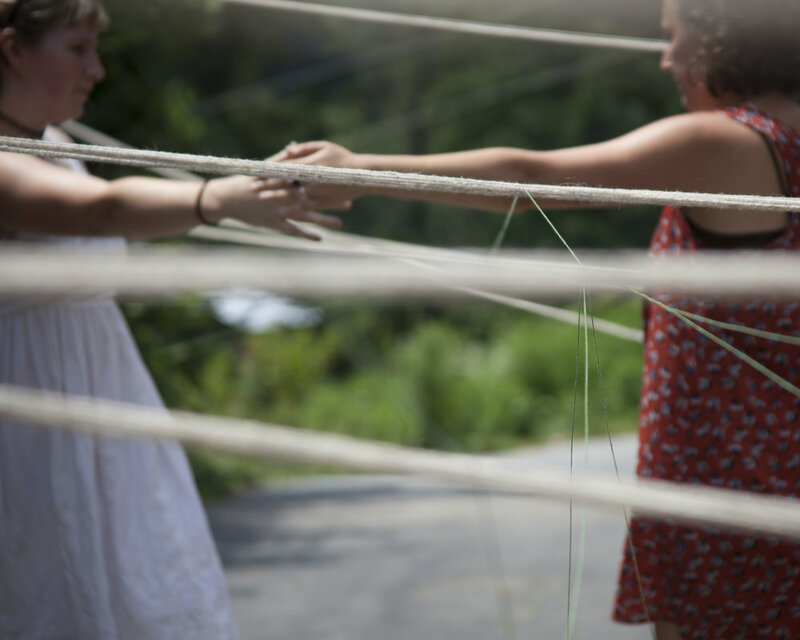 Inspired by the rural craft school tradition and a host of other educational communities such as Black Mountain College and Rural Studio, The Cabbage school seeks to bring together walks of life previously unconnected to gather outside of a deeply institutionalized framework; a place where individuals can shape their respective work and root it in something meaningful and shared. "I'm so excited about the levels of creative dynamism that we have in our faculty this summer, who are coming here from all over the country," says Jessica Green, founder of The Cabbage School. "This summer exemplifies our mission of a thoughtful, radical, skill-based approach to learning, full of embodied inquiry that one can bring back to their own life. Whether folks come here to make a milk pail or to explore radical communism, I think all of the aspects of this summer are shaping a world that I want to be a part of." The 2018 summer session is full of a wide range of skill- and practice- based classes, and the Cabbage School encourages those of all socioeconomic and experience levels to apply. Scholarships in the form of work-study positions are available.